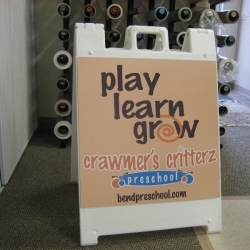 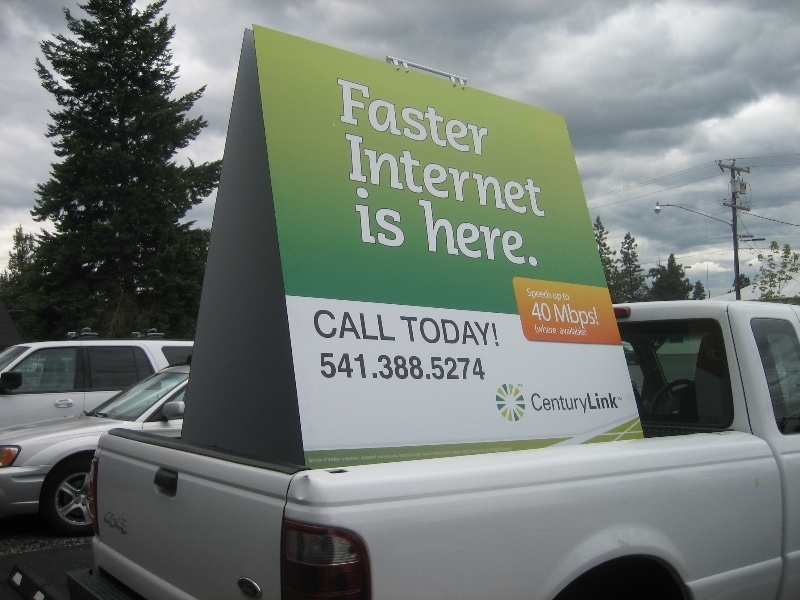 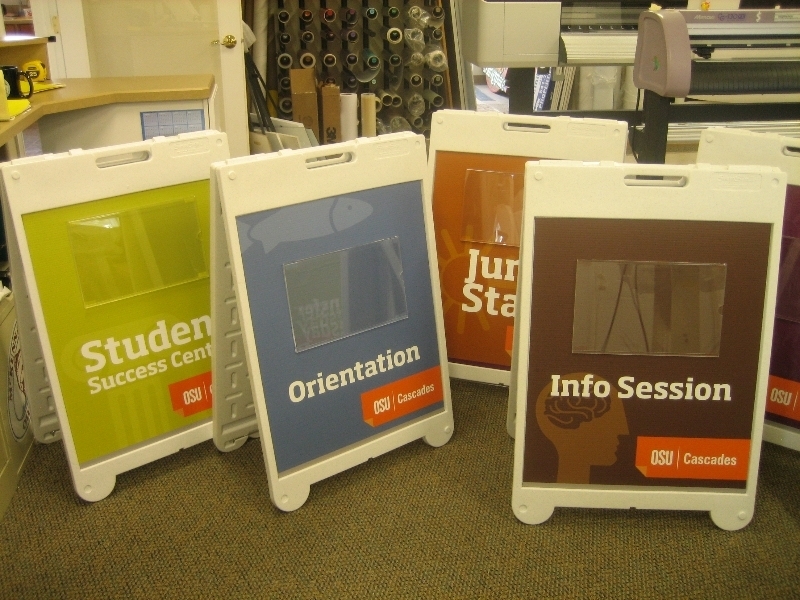 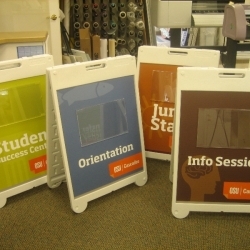 Freestanding A-frame or sandwich boards are a temporary and portable sign that can be placed in different locations and generally advertise a business location or special event. 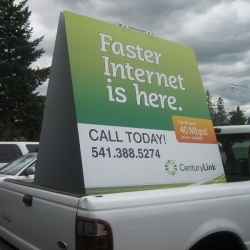 They are both affordable and effective. 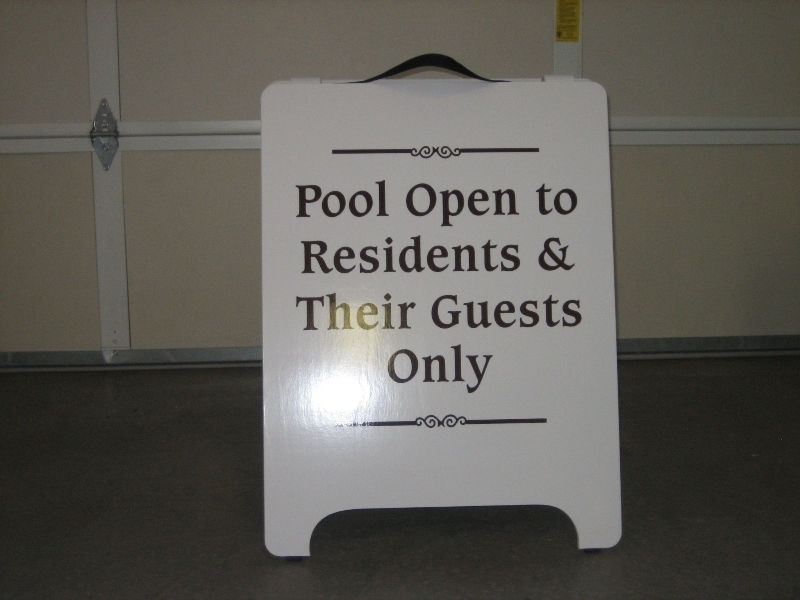 Sign Pro can create them in different sizes or shapes and even use chalkboard or dry erase to allow you to change your message. 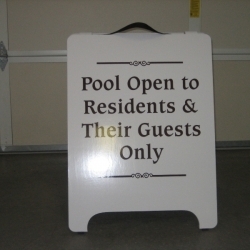 Sign Pro has several types available. 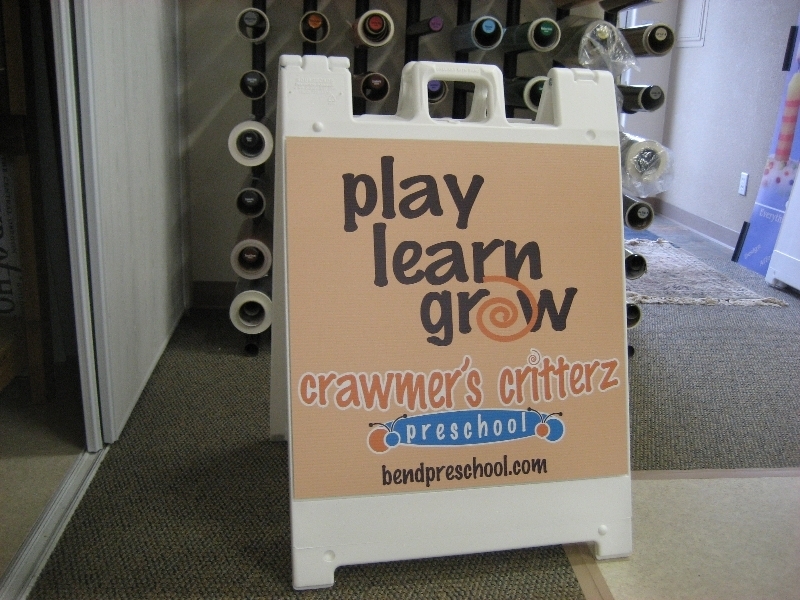 Stop by to check out the different options. 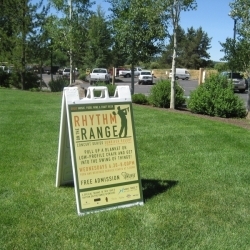 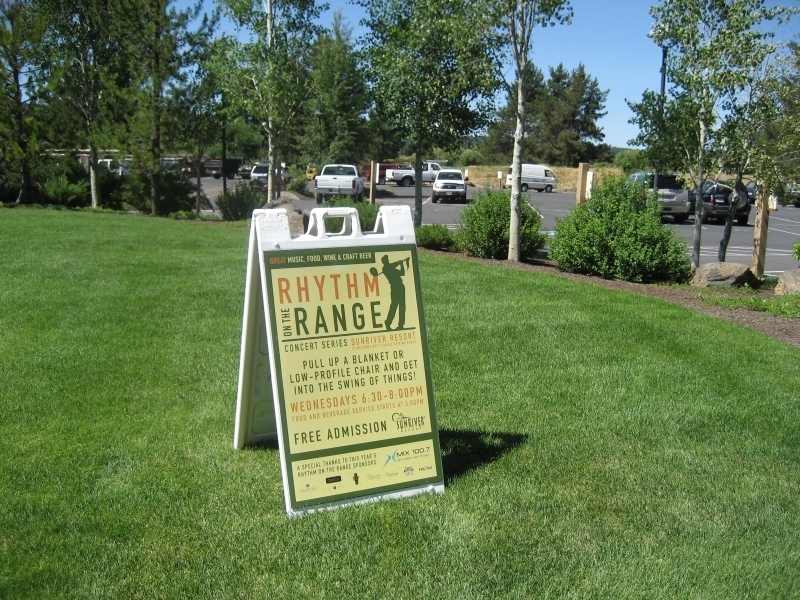 Keep in mind that temporary permits are required for A-frame signs in the City of Bend.